In this age of “green technologies” and “sustainability,” responsible property owners are rightfully searching for ways to retrofit their homes to improve energy efficiency. The first fix that springs to most people’s mind is new windows, but when it comes to weatherizing an older building, the interventions need not be drastic in order to see major improvements. So before you consider energy upgrades to your historic building, first schedule an energy audit. You’ll likely find that there are many inexpensive (and less damaging) options to improve the thermal performance of your historic building without the expense of a complete overhaul, thereby ensuring your comfort and the longevity of the building’s historic materials. Most local utilities offer free or inexpensive energy audits to their customers as a service, so contact your utility to schedule an appointment with an auditor. When the auditor arrives, describe the types of concerns you have, such as cool/hot rooms, drafts, and places where you’ve observed moisture. 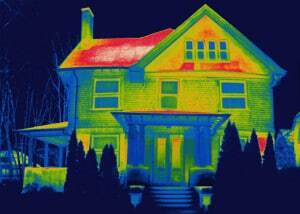 What can I expect during an energy audit? During an energy audit, the auditor inspects your entire building, including high-energy appliances like furnaces and hot water heaters, windows, doors, insulation, and the building envelope. 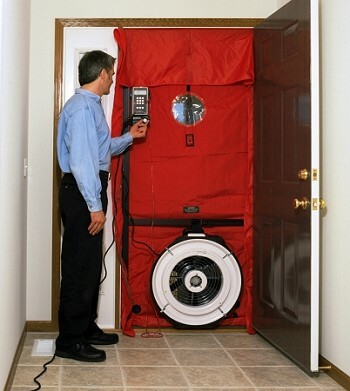 Many auditors use a thermal imaging camera and a blower door to identify cold and warm air leaks. At the end of the audit, the auditor will make recommendations for improving the energy efficiency of your building. It depends on the size of your building, but it can take anywhere from a few hours to a full day. You don’t need to do anything to prepare, but you may wish to be present to explain the issues you have identified and to learn directly from the auditor about the types of repairs that may be useful. What types of repairs am I likely to need? Contrary to what many window, heater, and HVAC manufacturers would like you to believe, replacing your existing windows and systems with the latest technology may not do much for improving energy efficiency in a well-maintained historic building. Rather, repairs are often simple, requiring relatively low-cost interventions. In many cases, owners should look to their attics and roofs first for limiting energy loss. They may also find that sealing of cracks and gaps around window and doors openings, insulating walls, and repairing leaky air ducts make an immediate and lasting difference. Many utilities or state energy agencies offer rebates for repairs that improve energy efficiency, so be sure to look into the options in your region to save money.